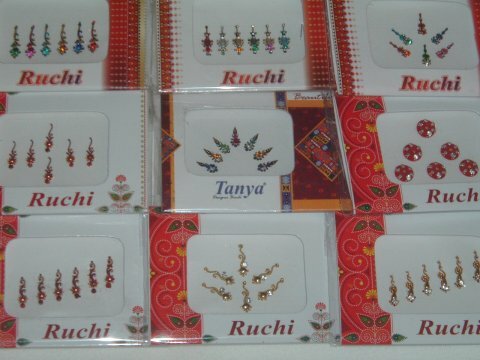 Set of 12 packs of fancy stick-on bindis in assorted color and design. Each pack costs only $2.08. Please Note: The actual designs and colors vary from the picture.